Backpacking around the planet can be a lot of fun – and it has never been easier. Those uncomfortable external-frame packs from the 1970s are a distant memory: the 21st century backpacker uses high-tech internal-frame packs that are lockable, comfy to wear and tailor-made for whatever kind of trip you’ve got planned. Overseas tourist operators and accommodation providers realise how important the international backpacking crowd is to their bottom line and they’ve responded by catering specifically to this increasingly large demographic. Although many backpackers are in their twenties, being a pack-toting traveller is less about age than adventurous mindset – there are plenty of 50-year-old backpackers too! The main advantage of travelling with a pack is portability. Instead of lugging a couple of hefty suitcases around the world, a backpacker has all their possessions in one place and can walk through crowded airports, along cobblestoned streets and even up the side of a muddy riverside hill in the Amazon with relative ease. Nothing can ruin a foreign adventure quite like buying the wrong backpack before you go. If you’re not careful you can end up with one that is the wrong size or shape for your body, isn’t secure enough for your destination or doesn’t have the volume to conveniently hold what you need to carry. These are meant for serious weight-toting and have minimal frills. They boast quality hip belts and will normally be top-loading, sometimes with a second zippered access near the bottom. Their main plus is toughness and their main disadvantage is that sometimes it can be hard to access the gear inside that’s furthest from the zipper. Travel backpacks have become increasingly popular in the past two decades for globetrotters wanting easier access to their gear and a more user-friendly pack. A typical travel pack will have at least two or three zippered compartments. Many feature convenient access to the main compartment from the front, just like a suitcase. Some come with a separate daypack that can be carried with the main pack or used separately when sightseeing. One of the best features of travel packs is that the zippers can be secured with a small padlock or combination lock to protect your goodies inside. This can provide extra peace of mind when you’re leaving your pack behind in a hostel for the day while you go out to explore your surroundings. These are packs that attempt (with varying degrees of success) to combine the robustness of a hiking pack with the superior accessibility of a travel pack. Backpacks are available in two main materials: canvas and nylon. Which you choose is mostly a matter of taste. While a heavy-duty canvas pack can sometimes be more durable, modern nylon fabrics are pretty tough too. A nylon pack will be a bit lighter in weight than its canvas counterpart in the same size. If you shop for your travel pack at an outdoor store where the staff are avid backpacking travellers themselves, they can give you solid advice and help fit the pack to your body so all the straps are properly adjusted and you’re ready to go. If possible, try your pack on in the store with a bit of evenly distributed weight inside it. A great thing about jet-setting with a pack is that it forces you to get real when it comes to packing your gear and clothing. You soon learn what you absolutely, positively must take with you and what can be safely left behind. Seasoned global trekkers travel super-light, carrying the smallest pack they can manage. Your destination will have a lot to do with how much stuff you need to pack. A couple of weeks in Vanuatu or Phuket will only require some changes of clothing, snorkelling gear and one pair of sandals. You can buy a hat and a beach towel there if you need them. On the other hand, if you’re off to the Himalayas and you plan on completing some overnight treks, you’ll need to pack a warm sleeping bag, durable tent, camping gear and enough warm clothing to cope with freezing winds and possible snow. With rucksacks, pack heavier items closer to your back for optimum comfort and balance. You don’t want to be too top-heavy. And if have too much weight away from your spine, you’ll be leaning too far forward to compensate (and you’ll look like a turtle). Let your hips take the pack’s load. The shoulder straps are there to hold the pack against your body comfortably rather than support a lot of weight. Pack lightweight, quick-drying clothing and a microfibre towel. Three pairs of shoes should be considered your absolute maximum. If you want to learn how to pack like a legend, check out these clever packing hacks. Our Packing List may prove to be helpful as well! At least a couple of months before departure, make an appointment with your local travel doctor to make sure you have all the vaccinations, prescriptions and advice you need to stay healthy abroad. Don’t rely on being able to buy items like condoms, contraceptives, diarrhoea medication and prescription needs in other countries – they might be hard to find or inferior in quality. It’s best to have more than one way to access your money overseas. A combination of debit card, credit card and local cash works well. Advise your Aussie bank which countries you plan to visit. That way your card won’t get cancelled when strange withdrawals start appearing on your account from Rurrenabaque, Bolivia or Seefeld, Austria. ATMs are all over the planet these days and are the most convenient way to stay cashed up, but beware: some have strict (and not terribly large) daily limits on withdrawal amounts. In off-the-beaten-track parts of world, cash is the only option. Bring what you need but don’t carry more than you can afford to lose in a robbery. Also beware that some foreign currencies are completely useless once you depart the country of origin. If it can’t be exchanged outside the country, you’ll have to spend it all before you leave. Ensure your passport has at least 6 months of validity left on it from the date of your planned return to Australia. When it comes to visas, some nations won’t require one at all, others will issue a tourist visa on arrival and in some cases you’ll have to organise a visa beforehand from Australia through the relevant country’s embassy or consulate. Don’t rely on your travel agent to remind you about visa requirements – do your own homework so you know what’s required. Rule #1 for travellers abroad is to always make photocopies of your passport photo page, driver’s license and other important documents and store them separately within your bags (it doesn’t hurt to have copies stored online ‘in the cloud’ as well). Leave copies with friends and family back home too. That way, if the originals are lost or stolen, you can easily prove who you are and get your documents replaced more quickly. In some foreign lands you may have to show your vaccination record to prove you have been inoculated against yellow fever. It’s an old saying but it’s so true: “If you can’t afford travel insurance, you can’t afford to travel.” Going abroad without an appropriate level of travel insurance is like playing Russian roulette – the only thing standing between you and disaster is pure luck. 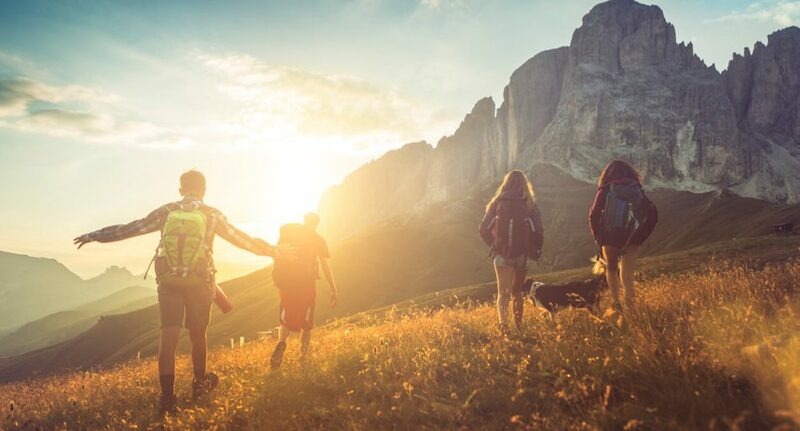 A quality backpacking travel insurance policy will cover you for lost baggage, medical expenses, personal liability, legal costs and the cancellation or disruption of your holiday plans due to unforeseen circumstances. It is well worth the money you pay for it. Make sure you fully understand which specific activities your insurance covers and always read the terms and conditions that spell out the limitations of your policy. People who care about you worry about your safety (and expect you to send photos!) while you travel, so ensure you’ve sorted out a reliable way to stay in touch on the road. This can be by phone, Skype, WhatsApp, email or any number of other methods. If you’re using your smartphone overseas, make sure you’ve checked with your provider about global roaming charges – they can be horribly expensive. One option is to get a local prepaid SIM card as soon as possible after you arrive in a new country. Do your homework so you don’t end up paying a fortune for phone use abroad. Chances are, plenty of other backpackers have already experienced your destination. That means it’s a cinch to research all aspects of the place – where to stay, where to eat, what to see and any safety issues. Some parts of the world might be prone to pickpockets, bag snatchers or other criminals who prey on tourists. Others contain known health risks. Make sure any safety information you find is up to date – a place that was safe ten years ago may be rife with problems today. There are numerous online travel forums where you can ask detailed questions about your destinations too – so don’t be shy. You might also want to register your travel plans with the Smartraveller website and subscribe to their travel advisories for the countries you’re visiting. If you’re looking for information on common overseas travel scams, check out this helpful article. Keep your money secure in a zippered trouser pocket, cross-body purse, hidden money belt or neck pouch. Don’t be one of those tourists that carries a bum bag on the outside of their clothing. This is a bit like hanging a ‘Please Rob Me’ sign around your neck. And leave all your valuable jewellery at home. The longer your money lasts, the longer you’ll be able to keep travelling. One of the best ways to lower expenses is to choose overseas hostels that have a kitchen so you can prepare your own meals. Walk or take a cheap local minibus instead of grabbing a taxi to get around. Buy your own snacks at a supermarket instead of paying for take-aways. Purchase alcohol from a shop rather than paying ramped-up tourist prices at a local bar. Train travel can often be made considerably cheaper by booking journeys well ahead of time. Rail passes (such as Eurail) can also save money if trains are your main method of transport. A pocket-sized phrasebook can be a real lifesaver when you’re wandering the streets of Istanbul looking for a public loo or trying to negotiate prices for a wildlife tour in Ecuador. When you can say a few basic phrases, you’ll not only please the locals but feel more at home in your new locale.